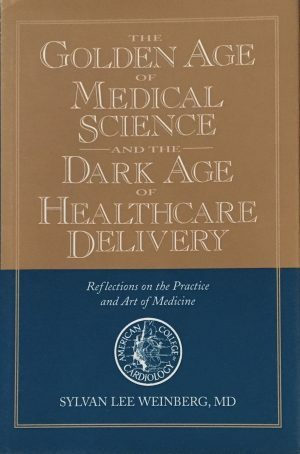 Described as one of the foremost medical editorialists of our time, Sylvan Weinberg, MD, has authored this collection of highly acclaimed essays about the current state of modern American healthcare—a paradoxical combination of the best and the worst —hence the title, The Golden Age of Medical Science and the Dark Age of Healthcare Delivery. The last decades of the 20th century have seen spectacular progress in the science of medicine. In the field of cardiology, heart attacks that meant certain death only a short time ago can now be treated, enabling people to live active lives for many years. New discoveries in molecular biology and genetics will soon allow us to diagnose and treat patients in ways that only yesterday were the stuff of science fiction. However, paralleling these brilliant advances, there has been an equally dramatic deterioration in the delivery of healthcare to millions of Americans, caused in large part by the advent of the managed care health insurance industry. depressing and chilling effect on every aspect of American healthcare. Doctors' autonomy in making medical decisions has been abrogated. Doctor-patient relationships have been shattered. Many patients have lost access to specialists and to the doctors of their choice. Nursing and ancillary staffs and the length of hospital stays have been reduced, often to the detriment of patient care. Relationships between doctors and hospitals have become adversarial. These are the highly charged issues that Sylvan Weinberg addresses in this important new addition to the medical literature and to the public dialogue. With his unique ability to cut to the core of the issue and frame the critical questions, Dr. Weinberg blends discussions of contemporary medical progress with incisive commentaries on the philosophic, political and socioeconomic forces that have changed not only medical practice, education and research but how every person in this country receives medical care. This new book will be important reading for doctors, patients, medical educators, hospital administrators, health insurance executives and everyone else who is concerned with bringing medical science and patient care into balance in the 21st century. The founder of the first coronary care unit in Ohio at Good Samaritan Hospital in Dayton, Dr. Weinberg is Editor in Chief of The Journal of the Heart Institute of Dayton and is Clinical Professor of Medicine at Wright State University School of Medicine in Ohio. Dr. Weinberg's distinguished career includes serving as Past President of the American College of Cardiology, the American College of Chest Physicians and the Montgomery County Medical Society. He has offered his expertise to, and is widely published in, the medical literature: he was Founding Editor and Editor in Chief of the American Heart Hospital Journal (2002-present), Editor in Chief of Accel (the American College of Cardiology's international audio-tape journal), Associate Editor of the AMA Archives of Internal Medicine, the ACC Current Review Journal and Founding Co-Editor of Heart & Lung. He has had wide experience in practice and as chairman of cardiology in a large teaching hospital and has made more than 240 invited appearances in North America and on five continents. This is Dr. Weinberg's second book.